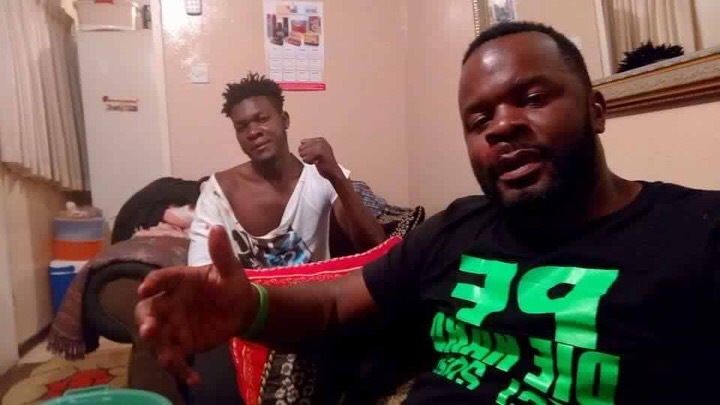 Edgar Lungu’ special advisor Max Chongu was last night clobbered at Biggies Night club in Kafue. Chongu, in his usual thuggish manners and unruly behaviour picked a fight with some revellers who bartered his ugly nose as can be seen in the photo. ‘He even had the guts to fire some rounds to scare off the guys who hammered him,’ an eye witness narrated.